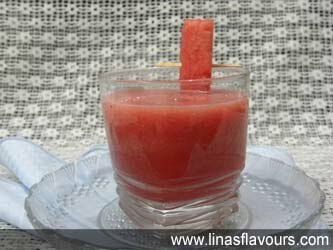 Take watermelon pieces, salt, sugar, pepper, ice-cubes and 2 cups of water. If you are using rock salt then be careful while adding salt as black salt is also salty. Blend it and serve it chilled.